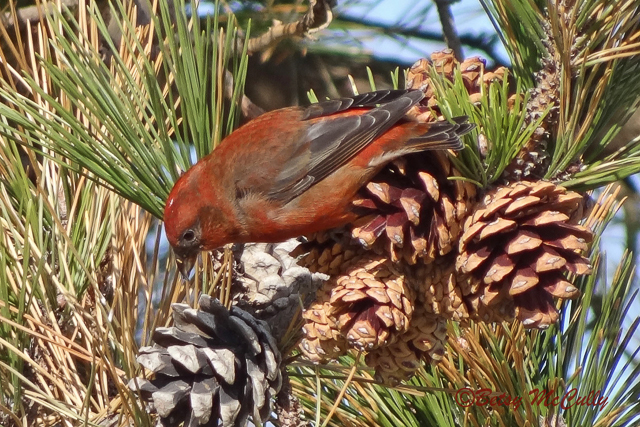 Red Crossbill (Loxia curvirostra). Male. Forests. Occasional migrant and winter visitor.